The Gratitude Graffiti Project is based on the concept that one of the most important steps to your own well-being and happiness is to assume a daily practice of gratitude. In the corporate office, I made a graffiti wall on the glass of the conference room. 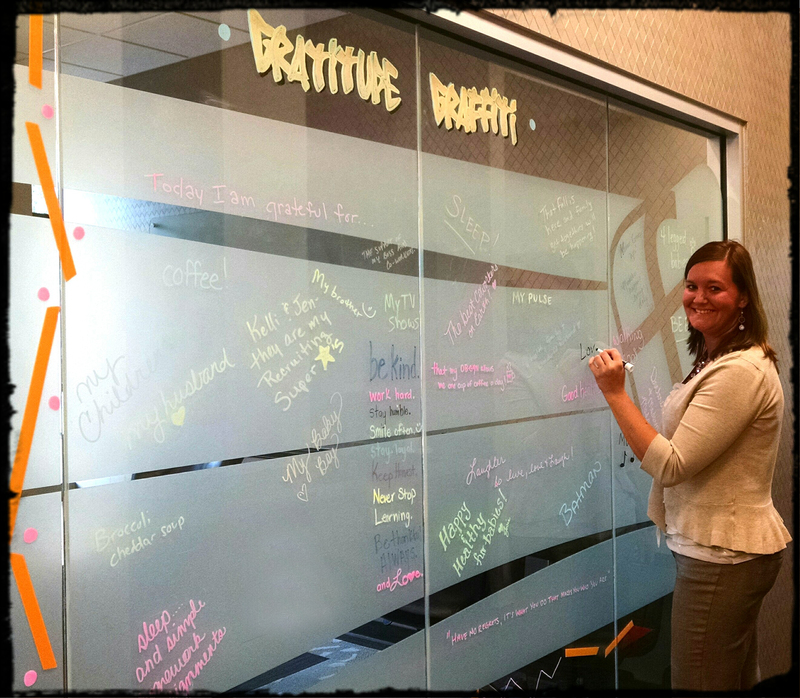 Each day employees stop by and write what they are thankful for, what motivates them, or something inspirational. Most people need 21-40 days of practice to begin a new habit and stick with it. Not only are you writing down your thoughts, but also you are sharing those with others. For me, there is no greater satisfaction than knowing I helped someone else. I encourage you to mention this idea to your facility and see if this is something they would be interested in supporting. 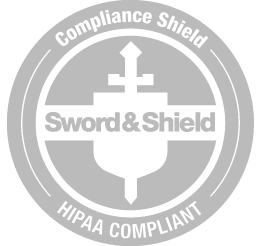 This can be displayed a variety of ways such as, glass windows, mirrors, dry erase or chalk boards, and even bulletin boards where you attach to it. Remember, if using markers, they need to be the Expo Dry-Erase markers, NOT permanent markers. The first week our theme was, “Today I am thankful for _______.” The second week we wrote down what motivates us. We followed the 3rd week with “Today, I will improve _____.” These are just a few examples of where you can take this simple, yet powerful idea. The Gratitude Graffiti Project is known throughout the world and has its own social media. Check it out on Facebook and Twitter, or even online at http://thegratitudegraffitiproject.com/. If art is a form of expression, what does gratitude, motivation, and inspiration look like? Start your very own Gratitude Graffiti wall today.